Encode is a educational App, where people can learn coding. The color of this App is system-oriented and the layout is simple and clear. The first page mainly consists of list and one can make such a list quickly with Repeater in Mockplus. Besides, it is a long page so people can view more information by swiping the screen. This can be achieved in two ways: first is the small red slider on pages in Mockplus, the other is the Scroll Box. Later I will elaborate on the differences of these two features. Let’s see it first! 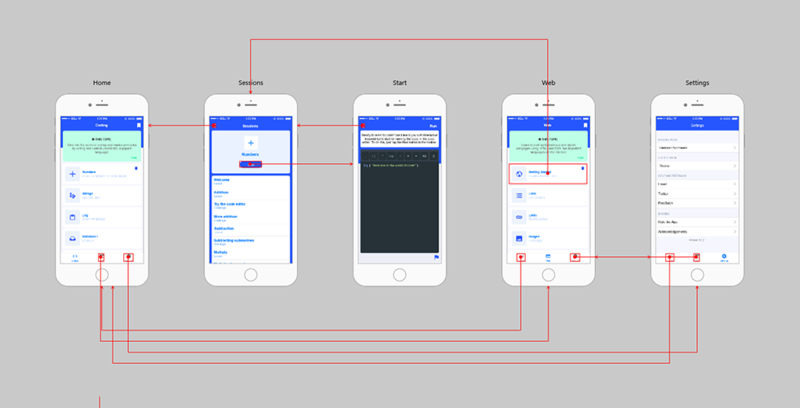 Pages of this prototype: Login/Signup, Home, Sharing, etc.